d! 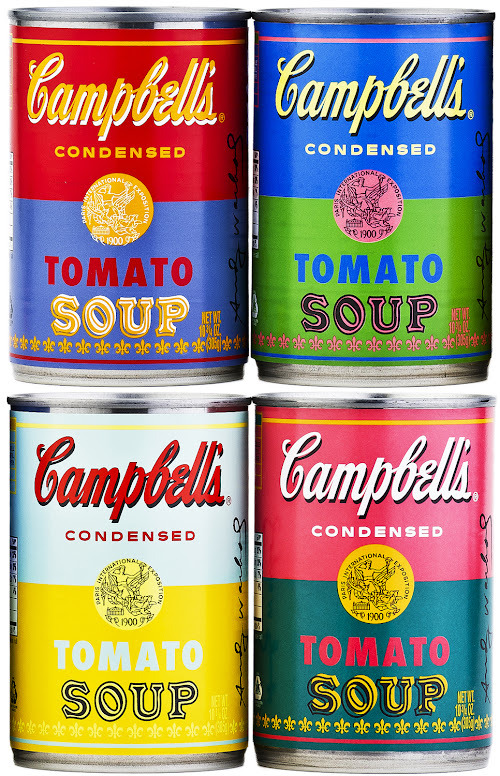 Konstruct: Campbell's launches Andy Warhol soup cans! 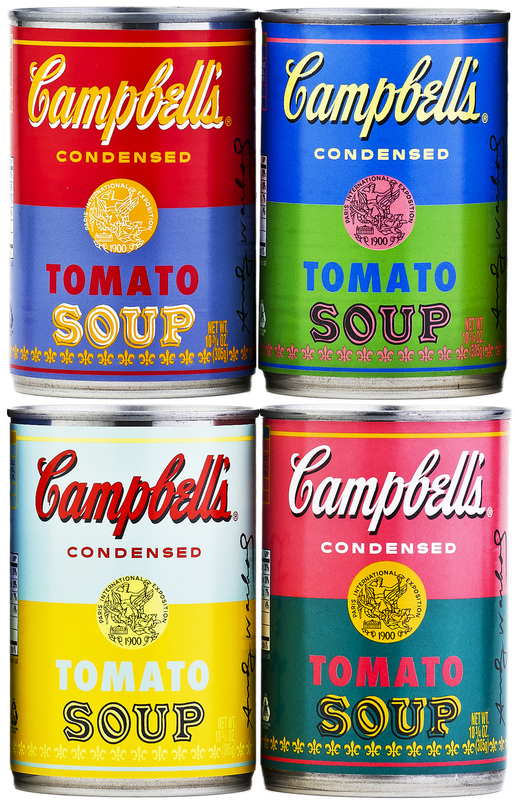 Campbell's launches Andy Warhol soup cans! Cans with label art from Andy Warhols "32 Campbell's Soup Cans"
To celebrate the 50th anniversary of Andy Warhol's "32 Campbell's Soup Cans", Campbell's Soup Company have released a limited-edition run of tomato soup cans with Warhol's original label art! They went on sale for 75¢ each. I just want to know why didn't they do this sooner and why can't it be a permanent change. Via The Cool Hunter, Grocery Headquarters, and Gizmodo.